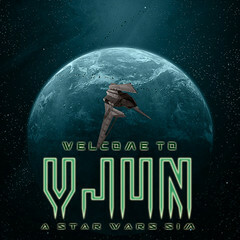 The dreary surface of Vjun. In the Legacy era, the planet serves as the Headquarters of The Viceroy of Vjun and The mysterious Lord Kestrel. Recently the filth and scum of the galaxy have made their homes on the surface.